Tapestry Collection by Hilton continues to bolster its presence in New York City with today’s addition of Distrikt Hotel New York City, Tapestry Collection by Hilton. 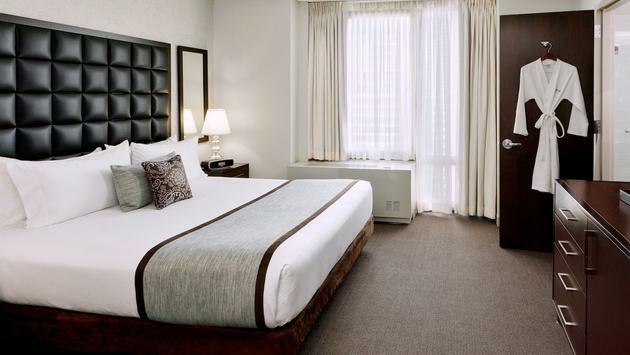 Nestled in the bustling neighborhoods of Midtown and Times Square, the 32-floor, 155-room hotel marks the brand’s 12th property and its second in Manhattan, following the opening of The Bernic Hotel New York City, Tapestry Collection by Hilton earlier this summer. 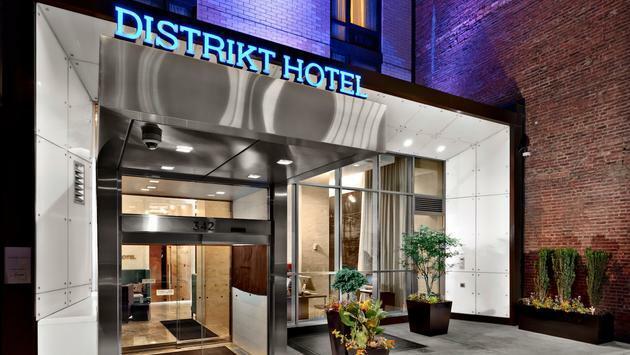 Originally opened in February 2010, the Distrikt Hotel puts guests in the heart of Midtown and Times Square West, an ideal location for walking to some of the city’s most sought-after locations, from Broadway to High Line Park. After a day of exploration, guests can unwind with a specialty cocktail at the Collage Bistro & Bar or re-energize with a workout at Mid-City Gym. True to its name, the Distrikt Hotel is designed to evoke the spirit of the city, with each of the three floors representing a different district or neighborhood. In the lobby, guests are greeted by a 12-foot living greenery wall that reflects the serenity of Central Park. Throughout the hotel, the halls are adorned with illustrations and collages by local artist Chris Rubino that are meant to inspire visitors to discover every unique corner of the city—from the Financial District and Soho to Chelsea and Harlem. As part of the Tapestry Collection portfolio, guests at Distrikt Hotel can enjoy the benefits of Hilton Honors, the award-winning guest-loyalty program for Hilton’s 15 distinct hotel brands. Contact your local travel agent for more information.